Make impact in a new market with a branch that enhances the wellbeing of staff and members. HAPO Community Credit Union had plans to expand into the Portland, Oregon market. 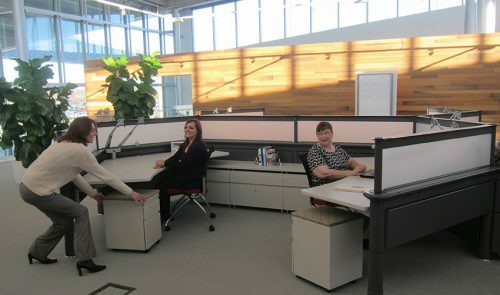 With HAPO’s desire to reinforce their strong commitment to the health and prosperity of their members and community, Momentum recommended a unique branch focused on the wellbeing of its occupants. Research led HAPO and the Momentum Team to the WELL Building Standard, a building certification that focuses on improving the wellbeing of the staff and members using the facility in every aspect of design, construction, and operations. The team believed that such a focus would naturally lead to the best member and employee experiences as they engaged on the credit union’s financial products and services. HAPO’s new flagship branch takes a holistic approach to wellness, and in pursuit of WELL Certification the Momentum team designed every aspect of the building to take wellness into consideration. From interior lighting that matches changing outdoor lighting colors, and thus supports the occupant’s natural circadian rhythms, to bringing sunlight into interior rooms via extended skylights, and living walls and finish materials inspired by nature, every component of the building supports both their physical and mental health of its occupants. “We are proud to bring the healthiest credit union in the world to our Vancouver members, and we look forward to increasing health and wellness in every community we serve,” said Steve Anderson, President and CEO of HAPO Community Credit Union. The credit union’s approach to wellness goes beyond design. The human resources team took a fresh look at internal policies and shifted the credit union’s approach to supporting employee health, from better wellness incentives and benefits to free gym memberships and onsite exercise facilities. While the HAPO team was looking at their wellness policies, Momentum’s construction team came up with a plan to minimize the health impact of construction by eliminating air contamination, choosing healthy materials, and maintaining a clean jobsite. 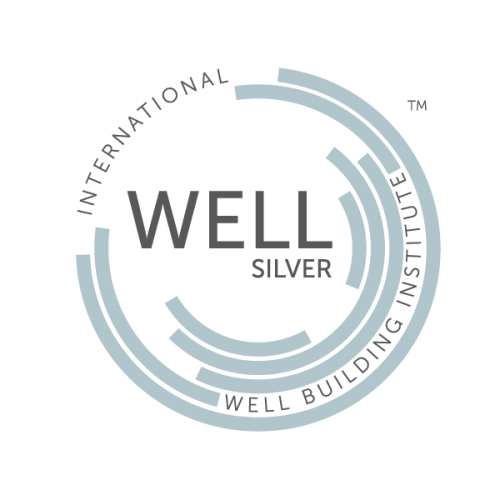 WELL Certification is a rigorous process requiring the full commitment of every team member towards that goal. 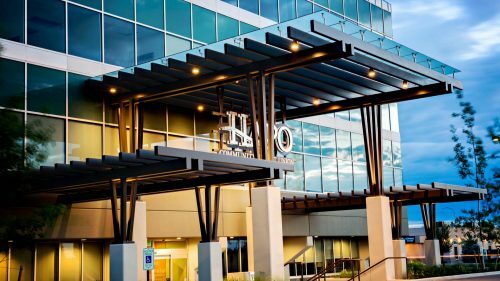 Using Momentum’s design-build process helped align the team members and ensure that nothing fell through the cracks, and the result was that HAPO’s new branch passed inspection with flying colors and became the first WELL Certified credit union in the world! Fresh outdoor air is incorporated into the building’s HVAC system, while volatile organic compounds and other pollutants were virtually eliminated through filtration, choice of materials, and a carefully controlled construction process. Interior lighting that matches the color and intensity of outdoor light improves circadian rhythms, while direct sunlight provided by a northern orientation and skylighting throughout the building improves the occupants’ mental clarity, energy, and mood. A high-end filtration system ensures that the building’s water is healthy to drink and free of sediments, pathogens, and pesticide or herbicide residues. All offices are furnished with height adjustable desks that offer variable positions to accommodate the healthy posture and movement of members and staff, while acoustic designs limit the stress and distraction of unwanted noise. 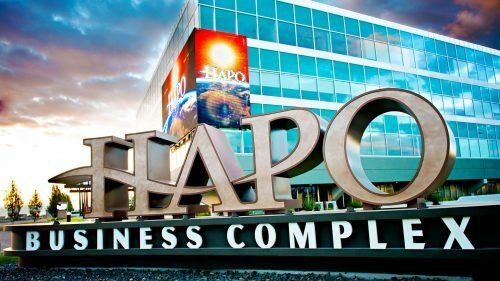 HAPO has an activity based incentive program for all employees to support fitness and work-life balance. The credit union provides gym subsidies and onsite fitness classes. HAPO provides healthful eating programs and nutritious snacks for employees, while design choices in eating and bathroom areas minimize the spread of bacteria to maintain a clean and healthy environment. Patterns of nature are incorporated throughout the building to instill a sense of biophilia, reducing stress and enhancing clarity of though. These patterns can be seen in the living walls, honeycomb-shaped acoustic paneling and light fixtures, exposed cross laminated timber system, and other nature-inspired textures and materials. The Portland metro area is completely new to HAPO, so to help the leadership team make more informed decisions Momentum developed a market intelligence report that predicted the future performance of thousands of potential locations at an intersection level. Armed with this information, the HAPO team was able to make a data driven decision instead of relying entirely on intuition. 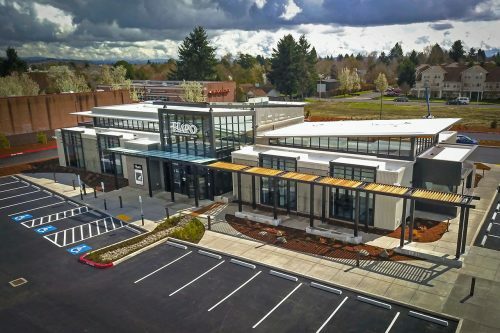 The report showed that the Mill Plain location was one of the top options for revenue, deposit, and loan growth, and it also aligned with other selection criteria, leading to an easy and confident decision.